In order to grow their dealer network, this leading vehicle manufacturer realised they needed to identify and support dealers and regions that performed well against key indicators such as sales, customer satisfaction, and inventory hold. Their current approach used static reports that had all the right data, but could not be used to make decisions or forecast sales accurately. This hindered sales executives&rsquo; ability to focus their efforts on under-performing dealers. 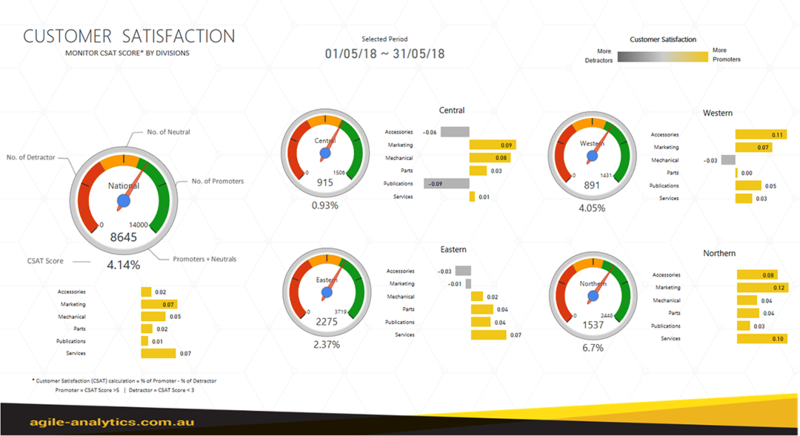 The static reporting needed an overhaul to allow all members of the Dealer Network to perform 'what if' analysis to make strategic decisions on a daily basis, rather than just reflect yesterday's result. Immediate action was required to enable Dealers to make data- driven decisions in a fast moving, competitive sales environment. 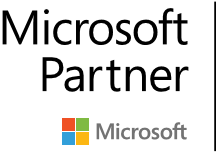 This solution was created using Microsoft Power BI to lift the overall performance of the company's dealer network. 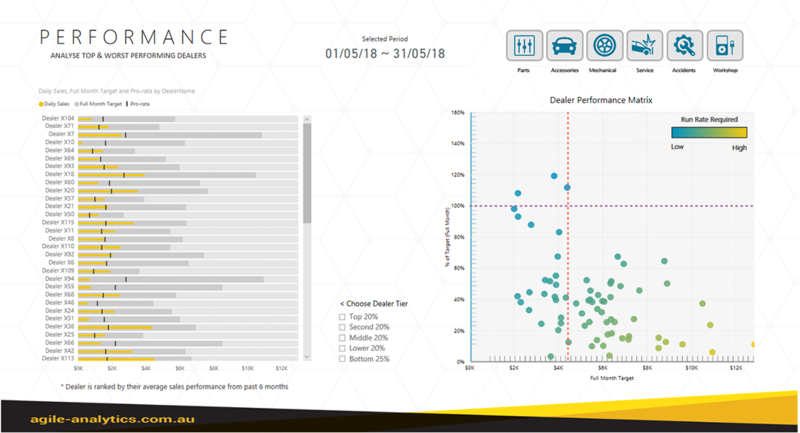 By comparing dealer performance and forecasting end of month results daily, the company could identify trends and issues across the group and act to change the outcome. 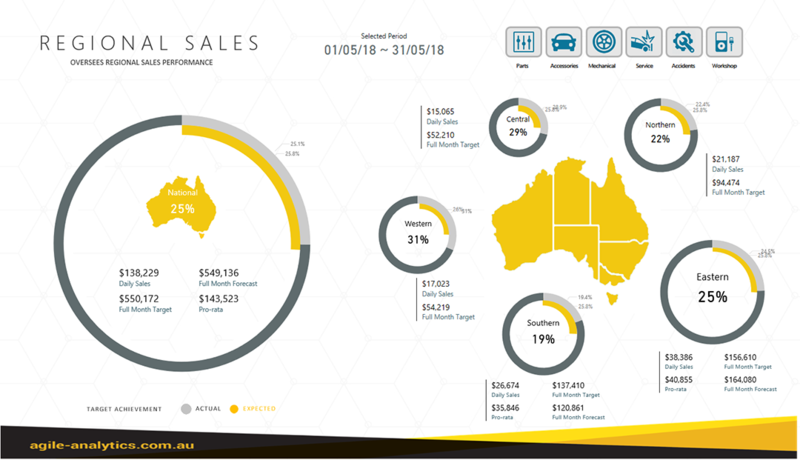 The Dealers Insights Dashboard is now accessible anywhere on any device and optimised for mobile viewing. With over 50% of the workforce only having access through mobile devices, enabling access to insights helps Dealers identify which key areas can be adjusted in near real time to meet end of month targets. 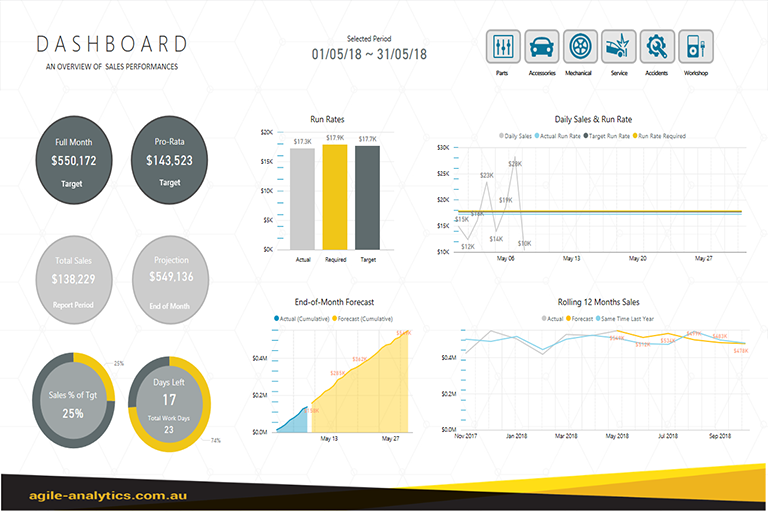 Dealers can access real-time data to track numbers to achieve end-of-month targets. Dealer Network performance has increased in sales and in customer service from sharing successful tactics. Head office now spends 1 week less each end-of-month preparing reporting.